Jerzy Bartmiński is Professor of Polish at the Marie Curie-Skłodowska University in Lublin (Poland). His research interests focus on the relation between language, culture, and mind. He is the author of around 350 works, including eight books. The book provides an introduction into a highly developed, coherent, and extensively tested cognitive linguistic approach to lexical semantics, which is not currently accessible to readers of English. This makes the book important to researchers and students in lexical semantics, in Cognitive Linguistics and beyond. It also strengthens the Cognitive Linguistics enterprise in general, by showing that the main tenets of this approach are not an incidental historical development in a particular corner of the world, but rather are arrived at by scholars working in hugely different contexts independently of each other. The book therefore has an appeal to all researchers in Cognitive Linguistics. 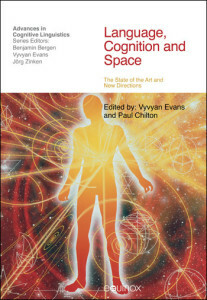 Furthermore, the book constitutes a contribution to the intellectual exchange between international academic discourses that mostly develop independently of each other – an exchange that has often provided major impetus for scientific development, as illustrated by the influence of the belated translations of works by Bakhtin, Lotman, Vygotsky, and Luria, among others. 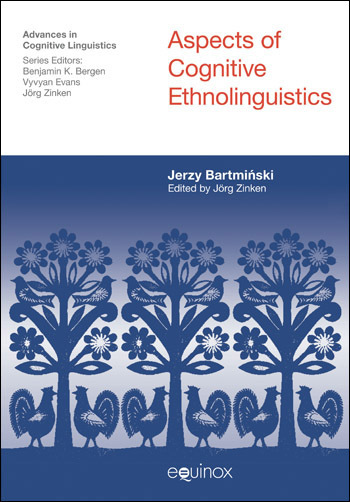 This chapter describes the overall aim of the book, the context, as well as the emphasis of each chapter.It refers to the cognitive-linguistic approach to the study of language in its cultural context, which the author, Jerzy Bartmiński, had developed. This chapter presents the revival of ethnolinguistics, offering an explanation for the term, as well as discussing various dilemmas of Slavic ethnolinguistics. It further presents the basic concepts of cognitive ethnolinguistics, which are interlinked with one another and together constitute a coherent conception. Linguistic worldview is a language-entrenched interpretation of reality, which can be expressed in the form of judgements about the world, people, things or events. This chapter explores various questions about linguistic worldview and its role in research. This chapter discusses two conceptions of linguistic axiology, the residual and the holistic conception, as well as the connection between values and language. This chapter analyzes the stereotype as an object of linguistic description, as well as the questions that a linguist must answer in order to study stereotypes in a systematic manner. It analyzes the sociological conceptions of the stereotype and it presents various scholarly approaches and analyses of stereotypes. This chapter presents the conception of the ‘cognitive definition’ as it is used for the description of meaning in SSSL, but which can be used in any other dictionary of natural language. This chapter analyzes the subject-oriented variant of the ‘linguistic worldview’ conception. It further poses questions relating to the point of view and perspective taken by a virtual language speaker as they can be reconstructed from linguistic material. Moreover, it considers the question of how to use these constructs in analysing selected portions of Polish lexis. This chapter discusses the notion of profiling and the ways in which it is used in the literature on semantics. Moreover , it discusses the notion of profiling as presented in the writings of Anna Wierzbicka, as well as authors who relate to her work. The beginnings of this understanding can be traced back to the first sample of SSSL tested on data from folk and standard varieties of Polish. This chapter describes the category of viewpoint and its wide application in text analysis (any text, not only literary), as well as in descriptions of language as a medium. In this respect, an especially important field of inquiry is considered the international and intercultural public discourse. This chapter analyzes the stereotype of the sun in folk Polish. The Polish stereotype of ‘sun’ inherits many features from the past. In early cultures, the sun was worshipped as a cosmic force, a manifestation of a supernatural power, or even as a god. This chapter discusses the Polish stereotype of the mother. The mother occupies a high position in the axiological, family-oriented, national and religious sense, in the Polish linguistic worldview. The chapter further discusses the image of mother in text, as well as proverbs which corroborate the already identified stereotypes of the mother. This chapter presents the concept of HOUSE/HOME in the Polish context. The concept of house/home/DOM is universal, pan-European, supernational, but also culture-specific. It is universal because it constitutes the centre of a person’s world, the place from which the person views reality. In the Polish context, DOM functions as a physical object but also as a social, national and cultural value. This chapter discusses the concept of homeland, with a long tradition all over the world. The starting point in the process of the formation of the Polish concept was, similarly to other European cultures, the Latin patria, connected with home, the father (pater), inheritance after the father (patrimonium) and later with the institution of the state. This chapter presents the functions of stereotypes and changes in the Polish stereotype of ‘a German’. The chapter begins with some theoretical assumptiuons about stereotypes, and further presents the study conducted on the stereotype of a German among students in the city of Lublin between 1990 and 1993. This chapter discusses the semantic development of the Polish words Prawica ‘right wing’ and lewica ‘left wing’, as an example of the influence of the system of values professed by a given community on the semantic content of words, the internal organisation of that content and lexical usage. This chapter presents the Polish concepts of los and dola, destiny and existence, belonging to the category of cultural key-words. It is inspired by a study by Anna Wierzbicka (‘Fate and destiny’), published in her 1992 book Semantics, Culture and Cognition. Thus, the present chapter partly develops Wierzbicka’s ideas and partly opposes them. The present chapter analyzes the concept of the linguistic worldview in comparative research. The linguistic worldview conception is semantic, anthropological and cultural in nature. It is based on the assumption that language codes a certain socially established knowledge of the world and that this knowledge can be reconstructed and verbalised as a set of judgements about people, objects and events. PAPERBACK PUBLISHED JANUARY 2012 The book provides an introduction into a highly developed, coherent, and extensively tested cognitive linguistic approach to lexical semantics, which is not currently accessible to readers of English. This makes the book important to researchers and students in lexical semantics, in Cognitive Linguistics and beyond. It also strengthens the Cognitive Linguistics enterprise in general, by showing that the main tenets of this approach are not an incidental historical development in a particular corner of the world, but rather are arrived at by scholars working in hugely different contexts independently of each other. The book therefore has an appeal to all researchers in Cognitive Linguistics. 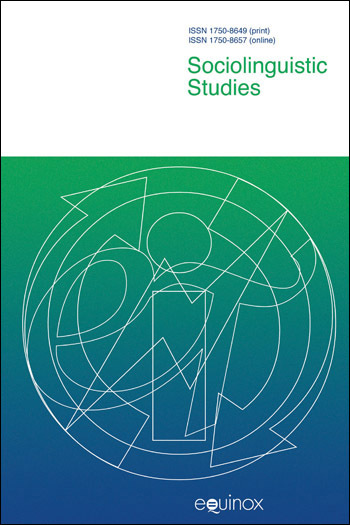 Furthermore, the book constitutes a contribution to the intellectual exchange between international academic discourses that mostly develop independently of each other – an exchange that has often provided major impetus for scientific development, as illustrated by the influence of the belated translations of works by Bakhtin, Lotman, Vygotsky, and Luria, among others. This book is a valuable resource for researchers and students in lexical semantics, discourse and intercultural communication. In this book, the English-language audience interested in cognitive linguistic approaches and semantics in general will find valuable information regarding Slavic data and the development of Slavic semantic thought. The case studies presented in the book can certainly serve as a great inspiration for future cross-cultural semantic analyses. The book presents a condensed but very detailed and highly informative description of the main tenets at the core of cognitive ethnolinguistics. [It] is a much welcome contribution to (English-reading) academia, and it will be of particular interest for scholars working in the diverse fields of cognitive linguistics, sociolinguistics, anthropological linguistics and intercultural semantics/communication. After reading Bartminski’s book, it will be difficult to go along the traditional, trodden paths, as if nothing would have happened. Let us then change our way of doing linguistics or, better, let us get back the good old traditions in their new form. And let us thank the translator, the editor and the publisher for making this excellent collection accessible to all cognitive linguists.